I have the same issue on a 55 inch Q6FN. And as most people have pointed out, it shows the most in Netflix HDR. Like Daredevil. There have to be a way to fix this in software? To "lock" the brightness of the TV somehow? Unfortunately, this flash blinks between light and dark in dark scenes (subtitles ON-OFF), ruining any experience of these contents. Unfortunately, with some foreign languages it is not possible to control subtitles color in Netflix. So problem is there unsolved. Help! 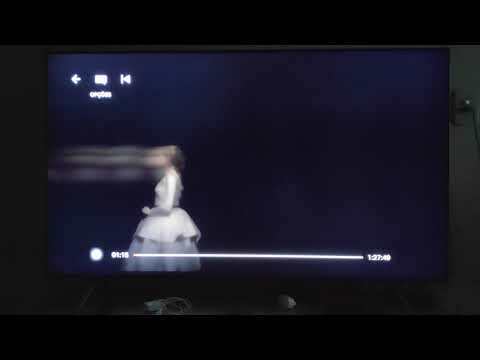 Interesting to see that in the scene has a woman in white dress, but is the subtitles that causes the problem. Test with and without subtitles. Had this exact issue with a brand new 65" NU8000 about 3 weeks ago. Returned it a few days later. However, googling the issue found many Sony owners having the same problem. Think it might just be down to the edge-lit panel. Funny that so many mention "Haunting of Hill House" on Netflix, cause that's when I first noticed the issue also. First few minutes of episode 1 were borderline unwatchable, thanks to the brightness "bloom" with the appearance of subtitles. Played around with the settings for an hour or so and the only thing that slightly helped was turning on Ambient Light Sensor. If I turned down the brightness or backlight even more as well, sure...the issue was improved but the screen was so dark as to hinder the whole viewing experience. As people in the Sony forum suggested, I tried changing the subtitle color to yellow with a black border and it didn't help. Not sure if this subtitle issue is only with streaming apps like Netflix or if it infects Blu-Ray/Directv watching also. Not sure what my next TV is gonna be and whether a FALD (full-array) like the 6-series TCL might be an improvement over edge-lit for this issue. But it's a shame, because the NU8000 had a beautiful picture and it was a delight for gaming also. Same problem here with a brandnew 55Q9FN bought in Germany. Even with an expensive full array panel the TV shows this very annoying behavior. Not only Netflix but also Prime content creates the same error - even when watching non-hdr series (Marvelous Mrs. Maisel for example). Strangely a short test with the Blade Runner 2049 UHD (4k HDR) played over my Xbox One X worked MUCH better. I'm not sure If i'll return the tv or should wait for a fix. Any comment from Samsung would be very helpful! People come here for a hope. Which are the settings that made it look better pls share, Ty! Just got the QE55Q9F last week and tried to watch Incredibles 2 4K yesterday and had the same issue. Tried every single energy/light setting on the TV, none of them worked out. Backlight is keep going and down, drove me crazy, made whole movie unwatchable.